Respiratory Care Services helps patients with chronic breathing problems breathe better. In his new role, Steele continues to oversee EKG, EEG, and the expanding outpatient pulmonary service line, including bronchial thermoplasty, pulmonary rehabilitation, and endobronchial ultrasound. He reports to Steve Rhone, RN, BSN, BS, MS, NE-BC, FABC, Vice President of Patient Care Services at Beebe Healthcare. Steele started his career at Beebe Healthcare in 2011, and in 2012, he was promoted to Manager of Respiratory Care Services. In his new role, he will be managing about 40 Beebe team members. 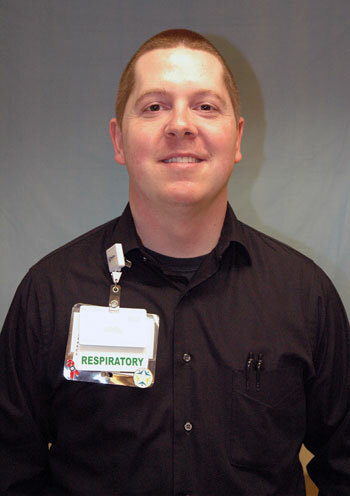 “Chris has been an integral part of developing a department lead team and integrating respiratory with a variety of multidisciplinary education, quality, and safety initiatives,” said Rhone. Steele is a member of the American Association for Respiratory Care and The National Board for Respiratory Care. He is also a former respiratory pharmacology instructor. “The respiratory profession has tremendous potential in our community and to make a difference for patients every day. It’s my pleasure to serve such a motivated team of professionals and have the opportunity to lead them to continued success,” Steele said. Beebe Healthcare's team of licensed respiratory therapists and board-certified pulmonologists provide treatment, rehabilitation, education, emotional support, and a variety of pulmonary diagnostic tests for patients with breathing disorders such as asthma or chronic obstructive pulmonary disease (COPD). Beebe Healthcare is the first hospital in the state of Delaware to offer bronchial thermoplasty. Bronchial thermoplasty (BT) delivered by the Alair™ System, is a safe outpatient procedure for the treatment of severe asthma in adult patients 18 years and older whose asthma is not well controlled with inhaled corticosteroids and long-acting beta-agonists. Pulmonary Rehabilitation. A specialized exercise physiologist works with patients to improve and optimize their overall lung health and quality of living. This is done under the supervision of a board-certified pulmonologist. Endobronchial ultrasound (EBUS). This minimally invasive procedure is used in the diagnosis of lung cancer, infections, and other diseases, which cause enlarged lymph nodes in the chest.